Reading , and choose "A static page" option in Front-page displays field. Select the appropriate pages and save the settings. Now visit your website to see the magic live. Also, the default page template always displays the front page when you set it as your static homepage. 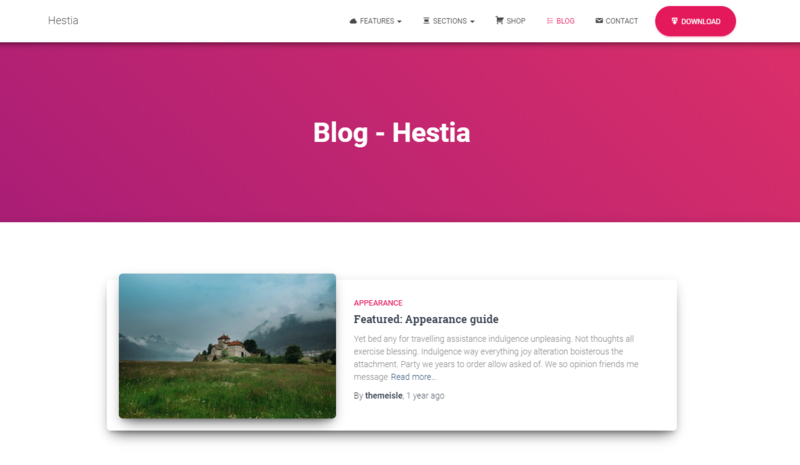 Disable Frontpage Sections - Are you using Hestia Pro for your blog? Don't need the custom frontpage? Just check this option to completely disable the frontpage, so you can easily work on your site. Boxed Layout? : It's enabled by default. If it's enabled, the theme will use a boxed layout, else will use a full-width layout. Those are general controls, meaning that they apply for all pages. 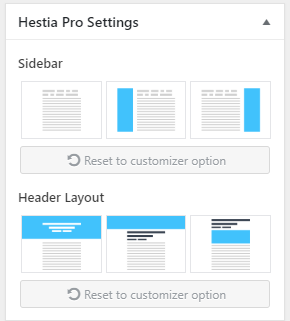 If you want a specific page/post to have a different layout, you can choose it on each individual page/post in the Hestia Pro Settings metabox. Sidebar width - Option to control the width ( in pixels ) for the sidebar. Container width - Option to control the width ( in pixels ) for all pages across the site. By adjusting the sliders, you can increase or decrease the width of the containers according to your preferences. Enable Sharing Icons - Choose to enable or disable the sharing options on Single Post Pages. The options are Facebook, Twitter and Email. If the default fonts don't suit your needs, you can change them easily from Customizer -> Appearance Settings -> Typography. The theme is providing a large number of beautiful fonts you can choose from. It's time to select the background for your website. It will only appear on the homepage if the Boxed Layout is enabled. Once you select the background image, you get a set of additional settings to tailor it to your liking. Here you have the option to play around with the padding ( in pixels; The link icon you see next to the padding control is a connector. 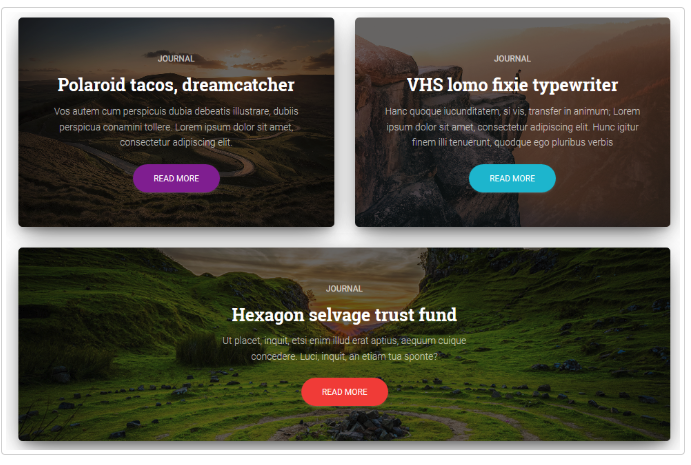 When you click it, it will connect both (Top/Bottom, Right/Left) padding options together and you can apply the same padding value for all 4 sides ), border radius and the hover effect ( either shadow or color ) for the majority of the buttons in the site. We've used many layouts for sections ordering in the past, but this time we went all in and made the WordPress Customizer sortable, which is one of the most awesome things you will find in Hestia Pro. You can drag & drop sections to arrange them the way you want. 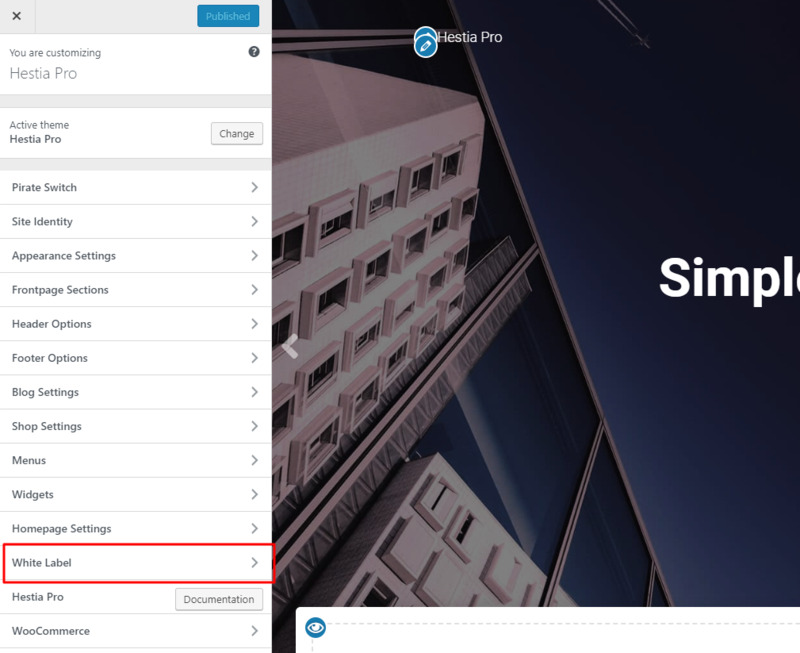 To add a slider on the Homepage, you must go to Appearance > Customize > Frontpage Sections > Big Title Section and add as many slides as you want. 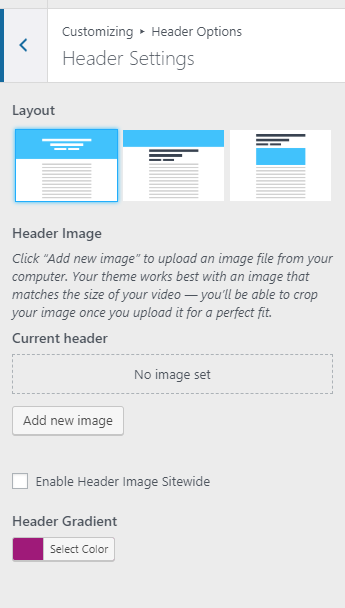 On each slide, you can add a background image and the desired content (copy). Parallax effect with two layers of images. Select an image as First Layer and one as Second Layer to enable a parallax effect between the two images. Make sure one of the images has some transparent portions to be able to see the full parallax effect. Video header: You have the possibility to either upload a video or enter a Youtube link here. Choose the layout of the Big Title Section, left, center or right aligned. In the features section, you can showcase an unlimited number of features or services in the form of a repetitive box, containing an icon with a color of your choice, a heading, and the main text. The About section pulls content right out of the page content. This means that anything you add inside the content box via your admin page will appear here too. It also brings in the featured image as the background for the section. The Shop section on the homepage was designed to showcase your best products. 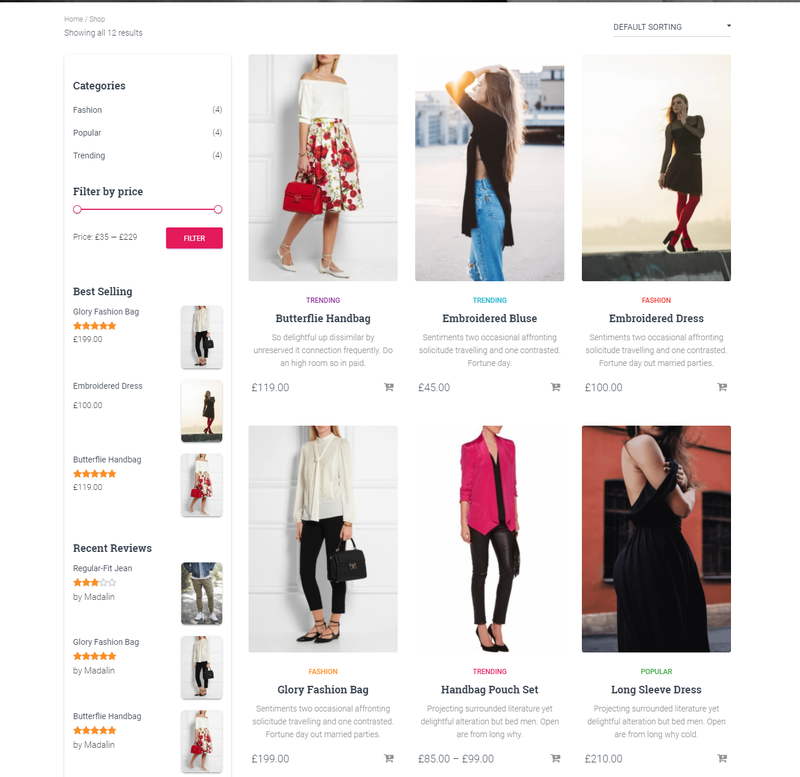 For this section to work, you need to install the WooCommerce plugin and then add the products. Hestia Pro comes with a Portfolio section on the homepage. For this section to work, you need to install the Jetpack plugin, activate the portfolio custom post type, and create your own portfolio. After you activate the Jetpack plugin, you can find the Portfolio custom post type in your site's dashboard, from where you can add content to this section as well. You must add a featured image to make the portfolio item appear on the front page. There are two layout options available for the portfolio section. You can choose your favorite one via the customizer under Frontpage Settings > Portfolio > Enable big boxes. You need to have at least 4 or 5 portfolio items displayed on the front page to be able to use the big boxes layout. There is also an Open in Lightbox option available for the portfolio section. When enabled, this will open each one of the portfolios in a lightbox, unlike the normal behavior where the single portfolio page is opened. With Hestia Pro you can showcase your team members on the homepage of the site, using the Team section. Here you can add details about every team member, such as image, name, position in the company, and social links. Hestia Pro comes with a beautiful set of pricing tables. It allows you to add unlimited options to your tables by separating them with a \n, as seen in the image above. NEW FEATURE: For each pricing table you now have the option to also add an awesome icon. With such an appealing website, your clients will surely have nice things to say to you. You can beautifully display their words in your Testimonials section via Appearance > Customize > Frontpage Sections > Testimonials. The next step is to navigate to Appearance > Customize > Widgets > Subscribe Section and add the Sendinblue widget to it. The Blog section on the front page is pretty straightforward to use. It will always display your blog's most recent posts. You can choose how many posts to display here via the Customizer. Contact section works with Pirate Forms plugin, so you need to first install Pirate Forms from Plugins > Add New (found in your Dashboard). Once the plugin is installed, a default contact form - without any configurations - will show up on the front-end of your site. 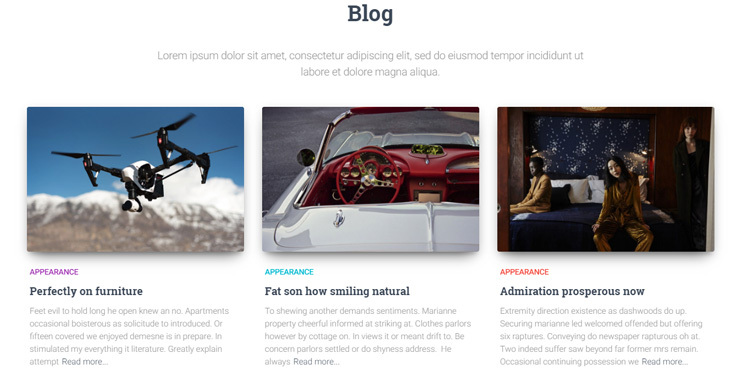 Choose from three layouts for the Blog page: Post List, Post List with alternative positioned images, and Columns. for a number of columns bigger than 1, you also get an option to Enable Masonry, which works by placing the elements in optimal position based on the available vertical space, sort of like a mason fitting stones in a wall. In this section, you have the possibility to add a Featured Posts section, which we'll display the most recent three posts from the category you choose. This section appears on top of the normal blog page and it's a nice way of showcasing some important articles. The Author section allows you to transfer the authors from your Team section to your blog pages. You can pick the authors from your team and put them here, as well as change the background image. Just like Team section, you can also put your Subscribe widget on your blog pages, using Sendinblue widgets. You can also change the title and subtitle of the section. The main content of this section is customizable via: Customize > Widgets > Blog Subscribe Section. There you must add the "SendinBlue Newsletter" widget. But first you need to install Customize > Widgets > Blog Subscribe Section. After installing the plugin, you need to navigate to Sendinblue > Home and configure it. That's all! Now, wait for the people to subscribe to your mailing list. Choose from two different layouts for the products style: Boxed or Wide. 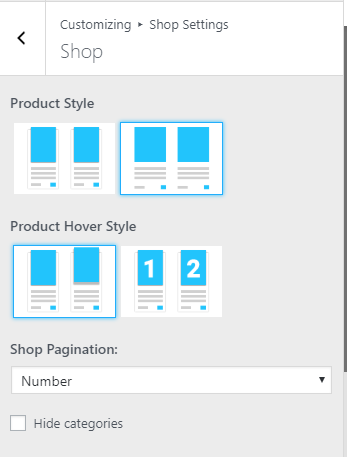 For each type of layout, you can also choose from two different hover styles. 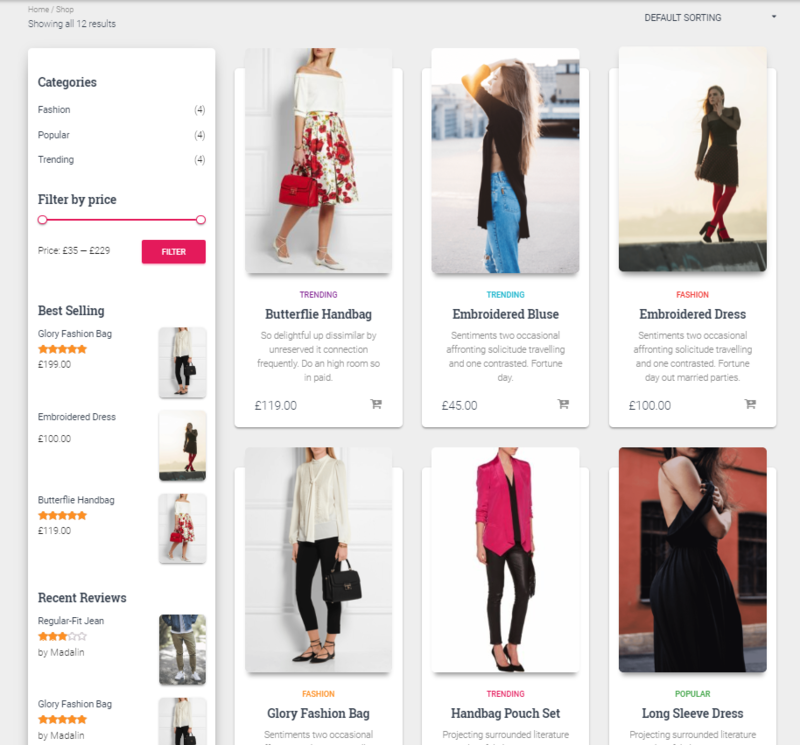 The first style will make the image slightly popup on hover, while the second one, will interchange the image, with the first image from the products gallery. Feel that the Checkout page is too crowded? 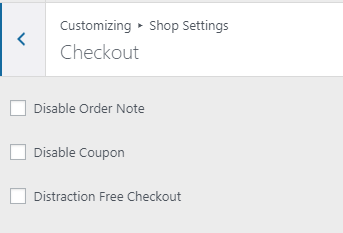 With this options, you can Disable the Order Note section, Disable the Coupon section or even have a Distraction Free Checkout that will remove the navigation menu. The header gradient color is used as a page header background if there is no image set. There are 3 ways to set an image instead of the gradient color. Below are listed from the highest to the lowest priority. 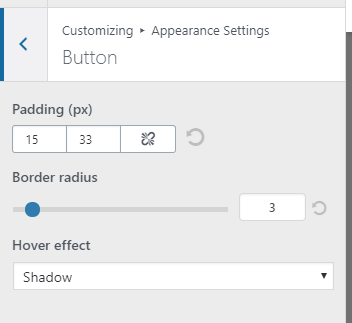 The background image that can be also changed from the customizer by navigating to Appearance->Customize->Appearance Settings->Background image. Header Gradient color can be changed from the customizer Colors panel. Hestia Pro allows you to change the main colors of the theme. You can do it from Appearance > Customize > Colors. There, you can select the background and main accent colors, the headings, and the main text colors. The Header Options section allows you to modify the Very Top Bar section and the position of the Navigation. Hestia comes with a Very Top Bar Section, that appears at the top of the site. You can find more details on how to enable this section and some really cool examples with it here . Also, here you have the option to add a search icon in the Primary Menu. You can easily choose the number of widgets and the position directly from Customizer -> Footer Option. Footer Credits: Here you can put the credits you want to appear in the footer. There are no restrictions, it can be anything. Navigate to Appearance > Menus in your WordPress Dashboard. Create anchors to the sections, as seen below. We love Font Awesome! We love it so much that we bundled it with our theme, so you can use it with your menu items. First, you need to enable Title Attribute for your menu items. After enabling it, you can add the Font Awesome classes to your menu items. It can be done from Appearance > Menus, as well as from the Customizer. You need to put two classes in that field: fa and icon class (fa-home for example). You can find the list of all the icons here. Just like the icons, you can style each menu item by using various classes. You must add the btn class to the CSS Classes field, followed by btn-primary. This one takes the color you set in the Customizer under the Colors > Accent Color option. If you add the btn-round class, the button will get a rounded border. White labeling is mostly used by agencies and developers who are building websites for their own clients and want to prove they are the developers of the theme. Using the White Label options provided by Hestia Pro, you can easily rename and present the theme as your own. 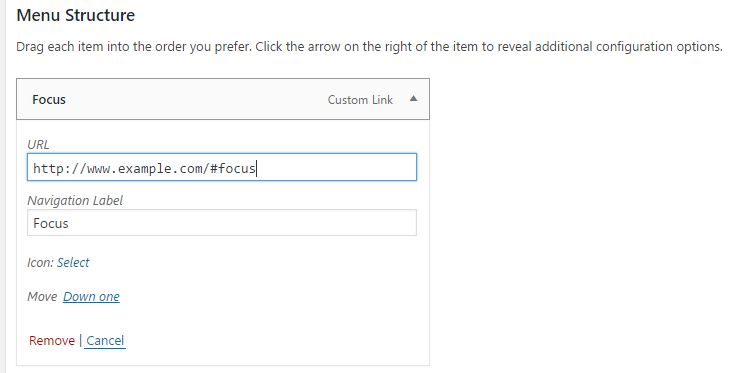 To enable the White Label feature, just navigate to Appearance > Customize > White Label. There you will find a link to the White Label Settings. There you can add your own branding elements: Author name and link, Theme name, description and custom screenshot. By clicking Save Changes, we'll automatically replace Hestia Pro's and ThemeIsle's references from the theme with your own custom names. Furthermore, if you wish to also hide these settings from your clients/users that might have access to your site's back-end, you can click on the Enable White Label toggle. After saving the changes, the options will disappear from Appearance > Customize. To enable the options back in the future, you would just have to deactivate Hestia Pro and activate it again. Go to your Dashboard's Appearance -> Customize -> Frontpage Section and hover on the desired section until its shortcode appears. Add the shortcode using the Elementor plugin. This can be done easily with drag-and-drop options. Here you have to paste the shortcode from the desired section. Hestia Pro is based on Material Kit created by Creative Tim.